Model 015 of the Dojo Pro series has a 26" blade, which makes it ideal for practitioners with a shorter stature - or for anyone who likes a versatile and extremely fast blade that is also extremely strong and durable. 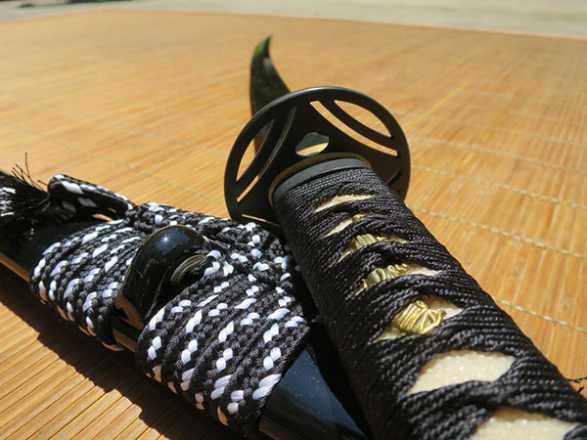 The black glossy saya (sheath) itself has hand cut and polished buffalo horn Kurikata and Kojiri, finished off with a hard wearing length of black and white synthetic silk sageo (cord) so it can be secured to your obi (belt). The strength of the fittings ALONE are head and shoulders above any other sword maker anywhere near this price point, but the 26” blade takes it to a whole new level again.. 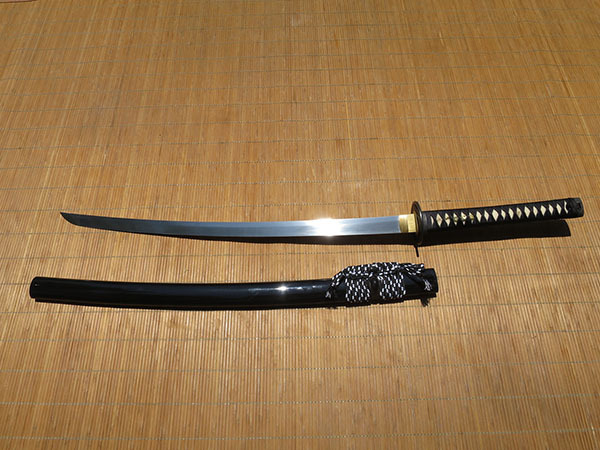 Weighing 2.6lbs with a point of balance 4.25” from the tsuba these swords are designed for the CUT, not fluffing around with - and the shorter blade plus lower center of balance makes it surprisingly fast. 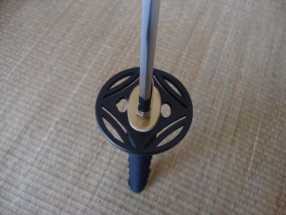 In short they are serious blades with serious fittings designed as SERIOUS dojo workhorses..! I just received this sword 2 weeks ago now and have put it through a couple tests. 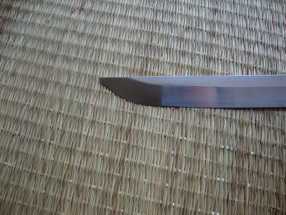 First, this blade is very SHARP! On a test cut, went right through the cardboard easily and 1 & 1/2 inch thick stick that I used to prop the shipping box, which I originally didn't intend to do. Solid made, beautiful craftsmanship for the price. Well worth the money. 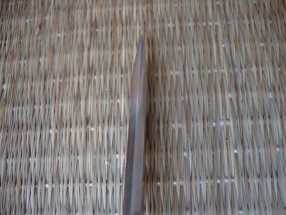 I also stand 5'6", so even though it's a smaller blade - still has excellent balance and heft. Blade is resilient even after several test cuts.